I posted a few weeks ago about yarn choice, and some of my personal guidelines to choosing yarns and colorways for projects. Guidelines are made to be broken though, and when we got in Malabrigo’s new super bulky, single-ply yarn, Rasta, several months ago, I fell in love with some of its gorgeous but extremely variegated colorways. And I wondered – could these work in a sweater? And how much would you need? It took me a while, but I finally hit upon a pattern I thought might work; one that I’d actually wanted to knit for months – Wrenna, from French Girl Knits. 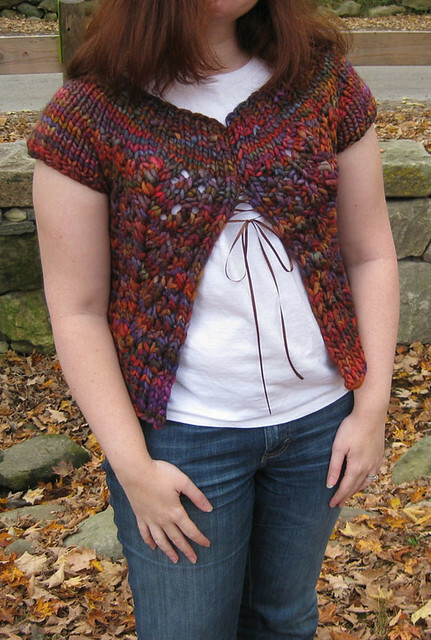 This was one of my most fun knits, ever. The yarn is incredibly soft, and every stitch was a different color, which made this fun to watch. Oh, and did I mention how fast the super bulky yarn knits up? 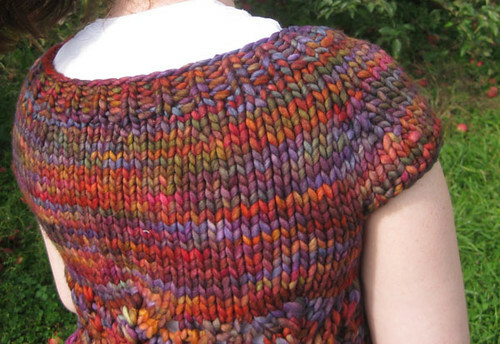 This entire sweater took six hours of knitting time, and 2.5 skeins of Rasta. I was also concerned about wear since it is a single-ply yarn, but because Rasta is ever-so-lighted felted in the spinning process, it holds up quite well. My favorite part, though, is that Wrenna makes a fantastic layering piece for our strange “fall” days where it is 45 degrees in the morning and evening, but 80 degrees during the day, so it has already gotten a ton of use!